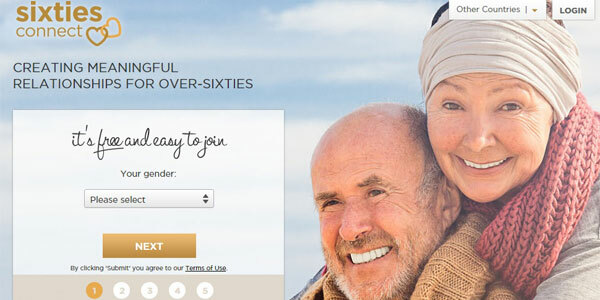 Boasting over 2 million members, Sixties Connect.com is an online dating site exclusively tailored for the older adult community. In fact, those who are under 55 are not permitted to sign up. Whether you are divorced, widowed, or never married, Sixties Connect can help you find the perfect person to enter retirement with. You can easily browse the profiles of other seniors near you, send messages to say hello, or even create a video profile for a more detailed look into your personality. Sixties Connect has plenty of features to help you connect with other users. You can send messages, winks, chats, or gifts to other members in order to express your interest in them. Additionally, you can save users you find interesting and then come back to message them later. The site also has an Encounters section that shows you pictures of people it thinks you will be interested in. You can choose from Yes, Maybe, or No options, and if the feeling is mutual, you will be connected with them. There is even a Diaries section of the site that lets you express your feelings and read other people's intimate thoughts. 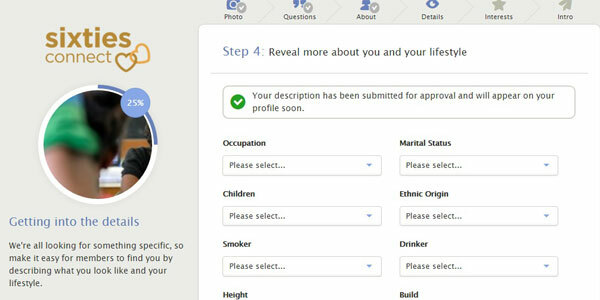 Add a profile picture, answer questions about yourself, entered a description, describe your lifestyle, and select your interests in order to complete your profile. You are now ready to begin using the site. Using any dating site can be a bit scary, but Sixties Connect is quite safe. It is protected by a service called Online Dating Protector, which monitors all user activity and interactions. A potent combination of 24/7 moderation and anti-scam software provides a safe and secure platform. Additionally, you have the option to report profiles that are fake or threatening, and you can always talk to a customer service representative if you feel in danger. Sixties Connect has also compiled a great list of online dating and in-person dating safety tips. If you browse this advice before pursuing any potential relationship, you will greatly lower your chances of a dangerous encounter. Much of Sixties Connect is free to use, but there are benefits if you upgrade. For example, only full members can read and send messages, send gifts, chat, and create dating diaries. There are several plans you are able to choose from depending on your needs. If you think a short-term membership suits you best, you have the 1-month subscription at $19.95 per month and billed as $.67 a day and the 3-month subscription at $13.32 per month and is billed as $39.95 ($.45 a day). The 6-month subscription will cost you $10 per month and is billed as $59.95 ($.34 a day). Finally, there is a yearlong subscription option for $8.33 per month and is billed as $99.95 ($.28 a day). Sixties Connect.com has taken into account that many older adults may not be familiar with using a computer by creating a layout that is streamlined and easy-to-use. Along the top menu bar, you will find all of the options you need to navigate and use the site, including links to Search, Profile, Inbox, and Who's Viewed Me. Below that, it shows several Encounters that you can peruse, a mini search bar for finding new people, and a listing of everyone who is currently online. Everything you need to start finding dates is available to you right when you sign in, eliminating the need to click around to different pages. When you're ready to search for a partner, you have the option to narrow it down by age, location, and if they have a photo. You can even set more advanced filters, such as if they drink, have children, have a certain hair or eye color, and much more. VIP members are shown first in the search and have highlighted profile photos. You can also sort the search by how recently they have updated their profile, when they were last online, and other criteria. 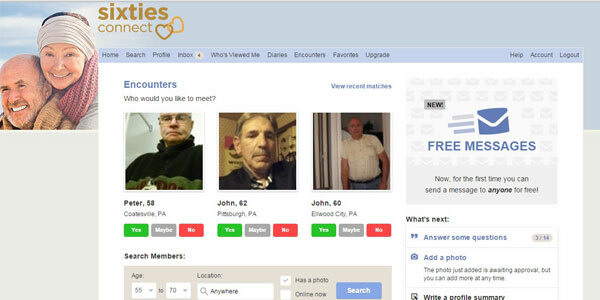 With a clean interface and a plethora of features, Sixties Connect is a good option for seniors hoping to find their twin flame. An advanced search function, detailed profile information, and the ability to write diaries gives this site the upper hand over similar senior dating sites. While you do have to be a member to communicate with others, it's a price worth paying thanks to the personalized user experience. If our Sixties Connect review still hasn't convinced you that this is the right site to ignite your passion, then read up on our Ourtime.com review for a great alternative senior dating site.